We offer reliable and competent Turnkey Industrial Automation Solutions using PLC Panels, SCADA, HMI, Digital Process Meters , DG Synchronizing meeting customised requirements of our industrial clients. We design & manufacture PLC panels for Deodorizer Plants. 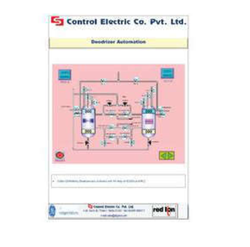 We have experince in Automation of Deodorisers for Edible Oil Process Plants. 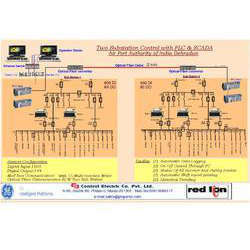 We cost effective yet highly effective, as we specialize in providing automation solutions across the Industry. 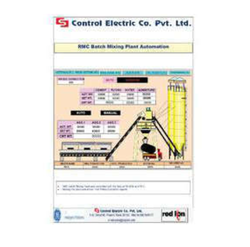 We design & manufacture PLC based Automation panels for RMC Batch Mixing Plants . This includes a total of 4 weighing controllers for Cement, Fly Ash, Admixture and Water. The solutions we offer are tested rigorously under the skilled expertise of our professionals. · HT incomers on on/of control. · Outgoing feeders on/off control. · Technical block feeders on/off control. · Soft interlocking between breakers. · On/off status for all incomers and outgoing feeders. · Rack in rack out status of ACBs and VCBs. · Spring charge status of ACBs and VCBs. · Trip status for all incomers and outgoing feeders. · Charged bus bar status. · Voltage, current, KWH, HZ, KW display for all feeders. · Time base data logging facility. · Shift wise data logging. · Current trending for power parameters (voltage, current, KW). · Historical trending for power parameters. · Historical data printing for logged power parameters, alarm and events.